If you've fallen for the charm of TWC the Invacar, we can't blame you. She is rather special. She is also now celebrated in this lovely T-shirt. Postage for a single shirt is £3 for the UK, £5 for Europe and £7 for the Rest of the World. Two shirts or more will be a maximum of £5 UK, £7 Europe or £8 Rest of the World. This is the best Invacar t-shirt in the world! 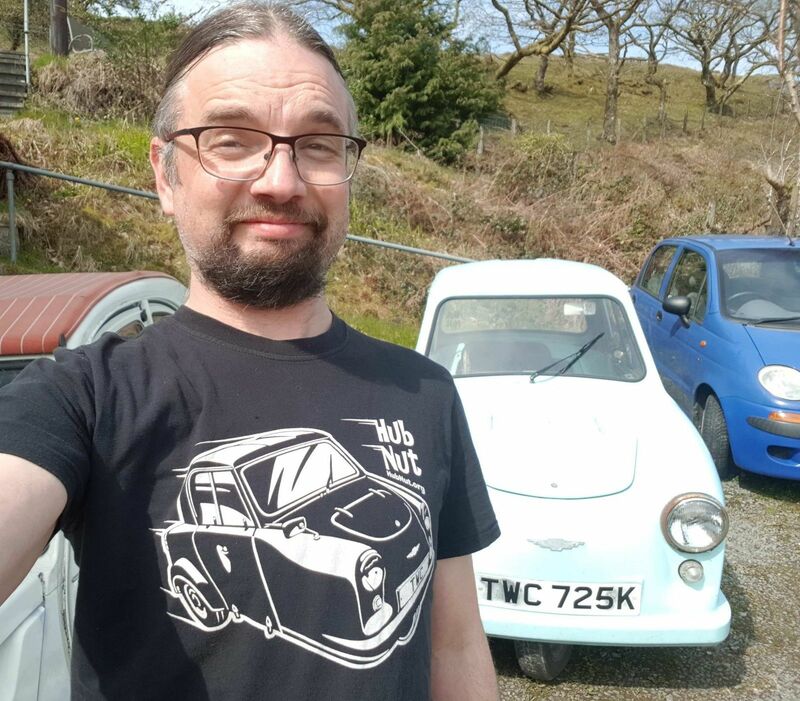 It's probably the only Invacar t-shirt in world? Quality t-shirt and print of the car that has to be HubNuts signature car? Very happy with the choice of merchandise.